Action on the deep grass flats from the north end of Siesta Key should be very good for speckled trout, along with bluefish, Spanish mackerel, ladyfish, pompano, and jacks. A high tide in the morning is favored for anglers to drift the flats and cast Bass Assassin jigs, plugs, spoons, and live shrimp under a popping cork. Netting up a bunch of shiners and chumming the deep flats will usually result in non-stop action. The flats and oyster bars south of Stickney Pt. down to Blackburn Pt. will hold some nice trout in July, and that area gets very little pressure in the summertime. The key is water temperature; if it is too high the bait and gamefish will not be there. Redfish and snook will also cruise the bars and shorelines in search of prey. Areas that drop off quickly into three or four feet will be the most productive spots. A hand-picked shrimp is deadly fished early in the morning on a high tide. Anglers choosing artificial lures will score with topwater and shallow diving plugs, scented soft plastics, and weedless gold spoons. 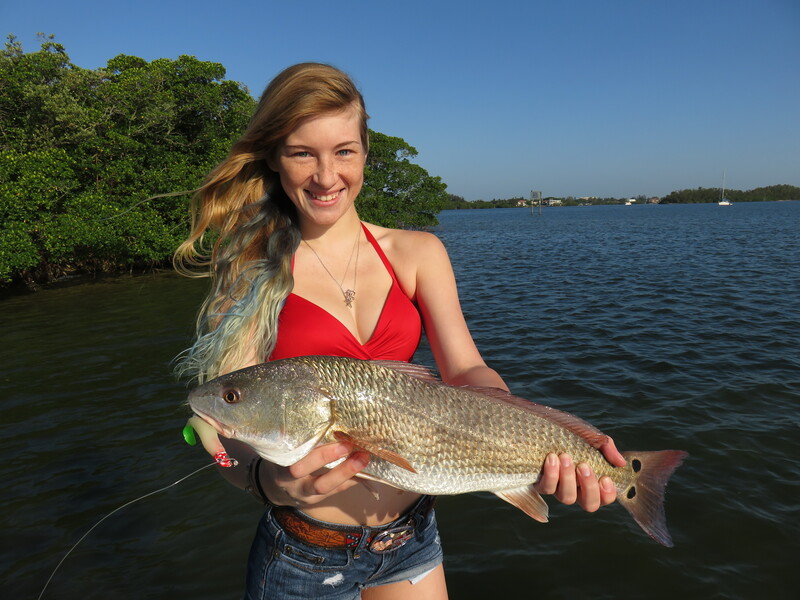 Redfish will begin to school up in July and can be caught in very shallow water The largest trout also prefer shallow water, so don’t be surprised if a “gator” intercepts an offering meant for a redfish. These fish should be released unharmed, they are the female breed stock and are crucial to a healthy trout fishery. Night fishing will be exciting and productive in July. Lighted docks and bridges attract glass minnows and shrimp, which in turn attract the gamefish. 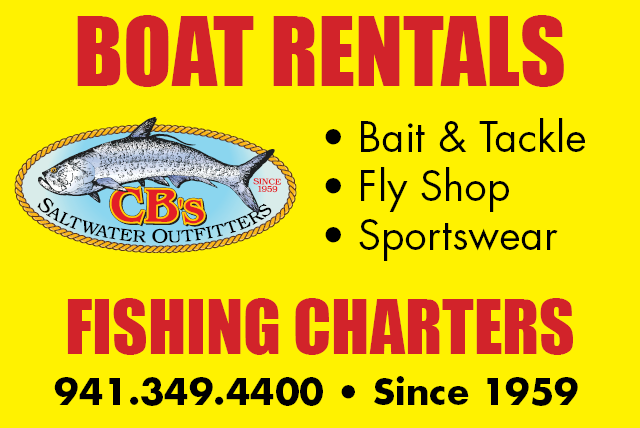 Snook are abundant, but trout, reds, jacks, ladyfish, and snapper will also be caught at night. Live shrimp works very well free lined in the current with little or no weight. A 24” piece of 25 lb flourocarbon leader and a 1/0 live bait hook is the basic rig. Lures will also catch fish, but can be difficult to cast at night. Fly fisherman will score with a small white snook fly such as the Grassett’s Snook Minnow tied on a #4 hook.